I started to do my grocery shopping at a cheaper store last week. 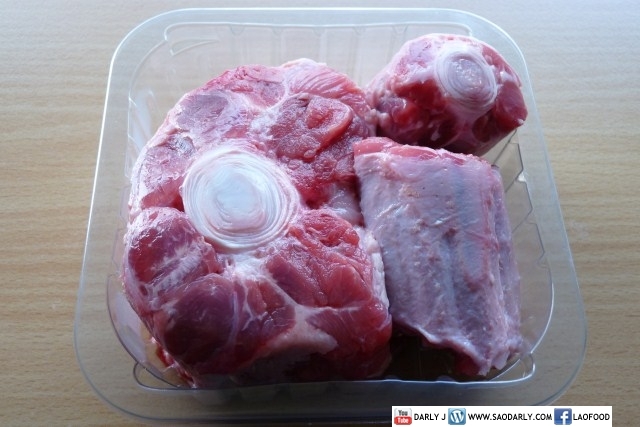 After a couple of times shopping and getting familiar with the location of the products, I found myself starting at the meat and poultry section and found two packages of oxtail. 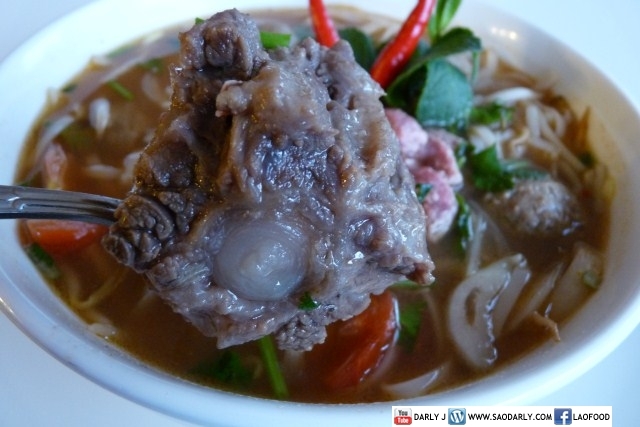 I’ve not seen an oxtail since 2006 when I went there to visit my family in the USA. Since Holland was experiencing minus degree temperatures last week, I thought it was a time to indulge myself and make Oxtail Noodle Soup. 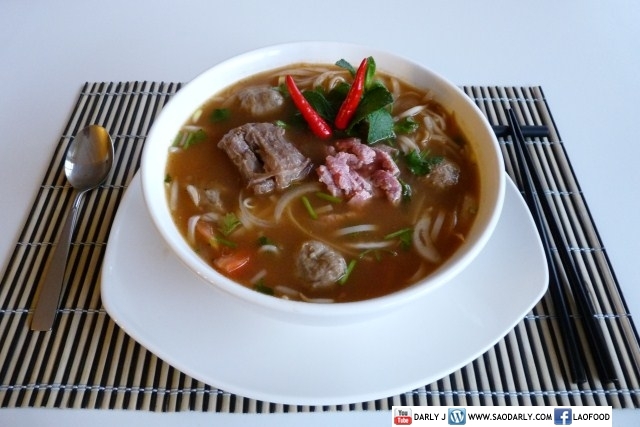 At home in the USA, my mother usually makes oxtail Feu noodle soup for dinner on Saturday and we often eat it for breakfast the next day. 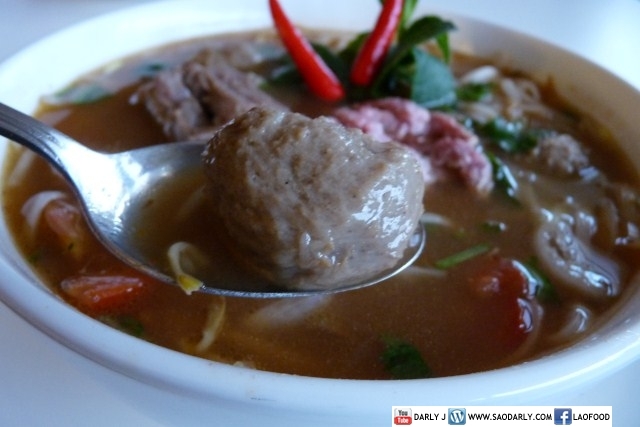 When we were living in Laos, we never had the opportunity to sample Feu made with oxtail soup stock. We were introduced to oxtail Feu for the first time when we relocated to the USA by an uncle. The meat and broth had so much flavor that my mother would buy oxtail for the broth whenever she could find any available at the market. This soup looks amazing. Id love to get the recipe and make it. Thanks for posting this!!! MAY I HAVE THE RECIPE FOR THIS SOUP!!! WOULD LOOOOOOVE TO TRY MAKING IT! 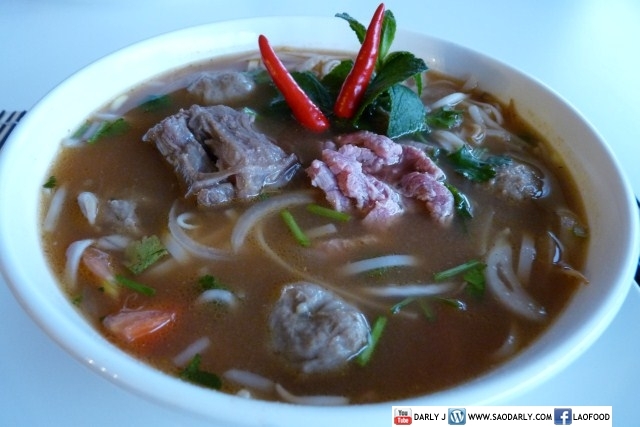 Pho recipes can be found on Youtube… you can also buy Pho beef flavour paste in Asian grocery stores. Ox-cow tail can be purchased from most Asian butchers or ask you local one.